Looking for a break from the hustle and bustle of the big city? Enjoy some outdoor time at our RV park and campground outside Kamloops. Here you’ll find a relaxing oasis where you can recharge and enjoy the great outdoors with hiking, fishing, horseback riding, boating and more. Getting in touch with Mother Nature doesn’t have to mean hacking your way through miles and miles of untamed wilderness. 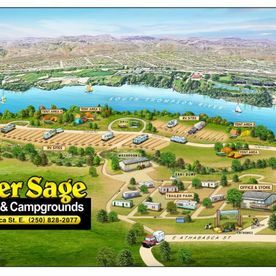 Our campground and many amenities means you can customize your camping experience to a level of ruggedness in your comfort zone. We are able to accommodate both tent camping and larger RVs. 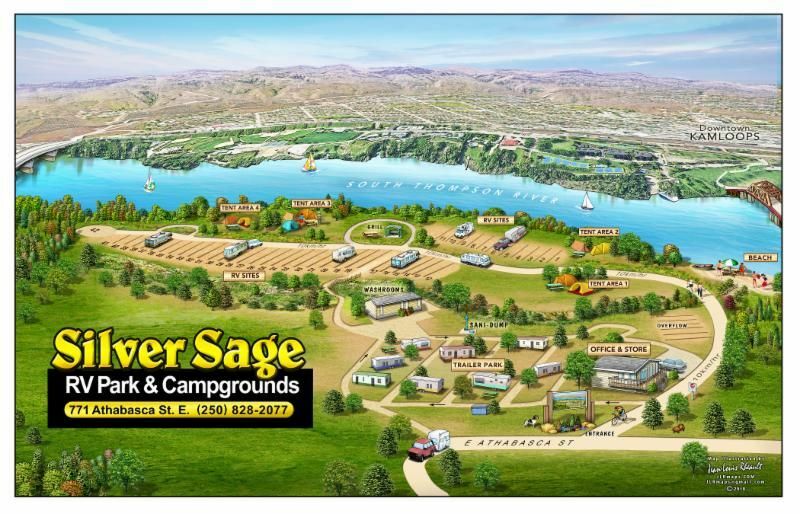 Our campground is equipped with water, electrical and sani-dump systems for RVs and offers large shaded areas along the S. Thompson River for tent campers. All guests have access to our washrooms and laundromats so you’re able to clean up after a long day of adventuring. Daily, weekly and monthly rates are available for both tent and RV sites. Call us today to book your stay and enjoy some time in nature.